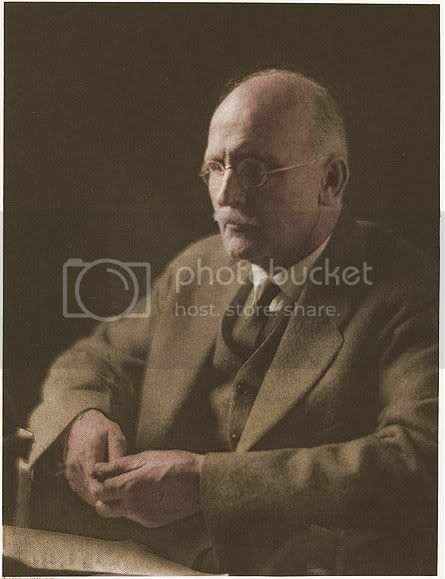 He began as a copy reader in the editorial department in 1912, and stayed until the start of WWI. Received commission as 2nd lieutenant, seved more than year overseas with the 165th infantry. After WWI, then 1st. 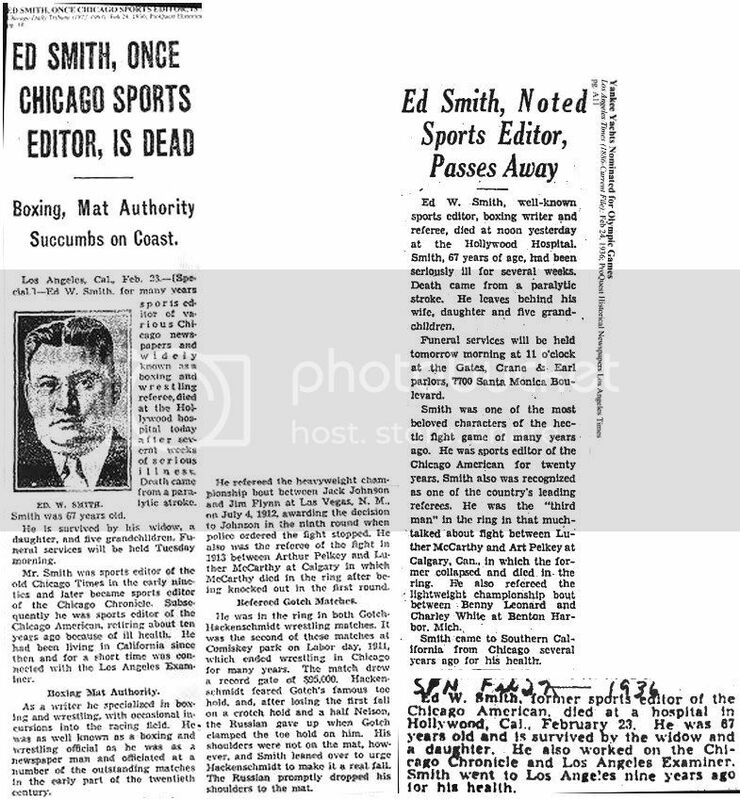 lieutenant, returned to Chicago Tribune, made sports editor in 1921, left in 1925. He then moved east and got into wrestling promotion. He managed Jim Browning, heavyweight wrestling champ. November 3, 1933, pp. 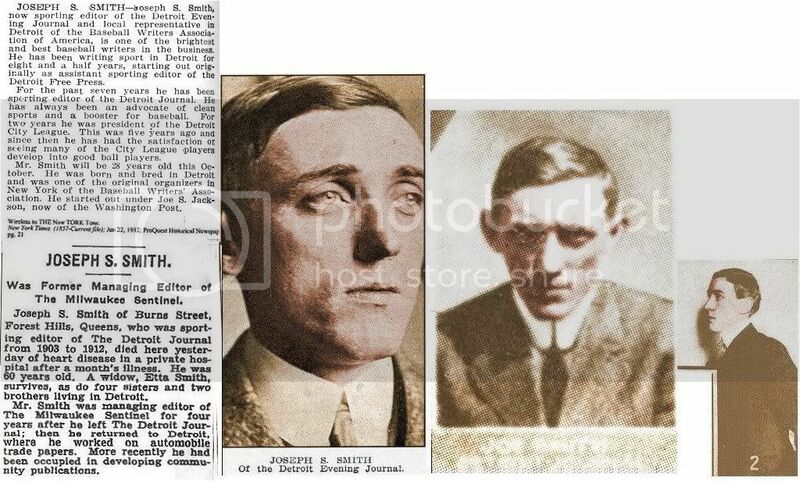 27.-----------------------New York Times' obituary, November 3, 1933, pp. 19.--------Chicago Daily Tribune, November 4, 1933, pp. 23. 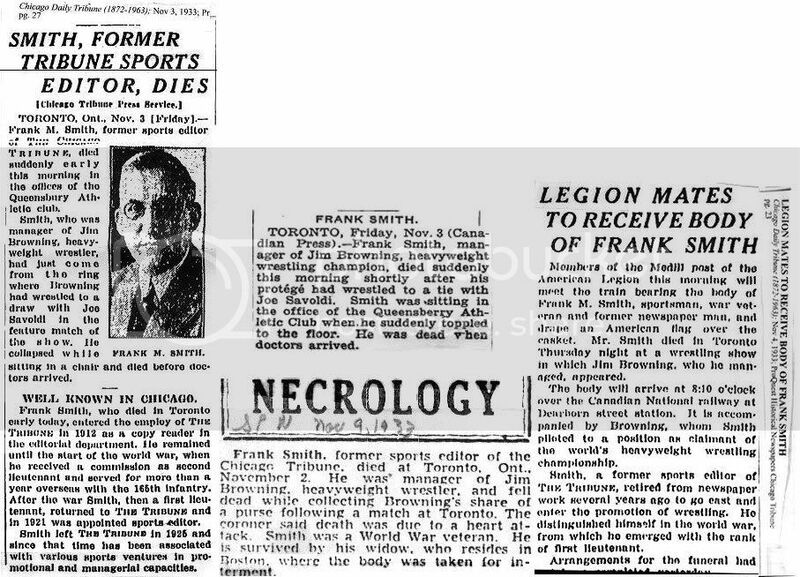 ------------------------------------------------------Sporting News' obituary, November 9, 1933, pp. 7. Last edited by Bill Burgess; 03-30-2014, 12:47 PM. Died: February 23, 1936, Hollywood, CA, age 67,----d. In Hollywood Hospital, CA, from a paralytic stroke. 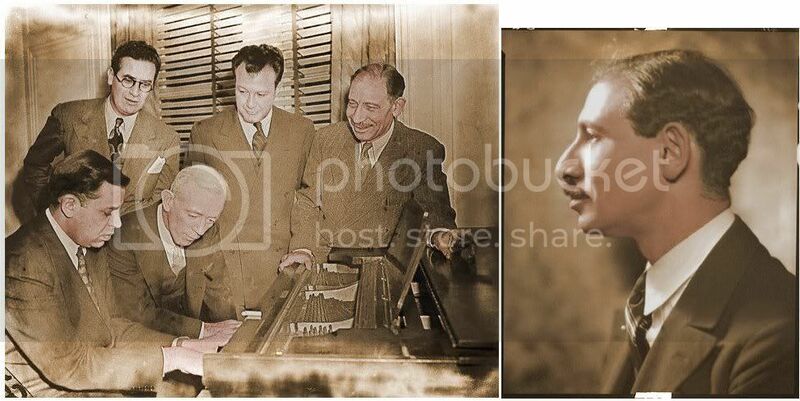 Moved to California around 1927 for his health. Had been a well-known boxing/wrestling referee. Refereed many memorable fights. As a writer, he specialized in boxing/wrestling with occasional incursions into racing. 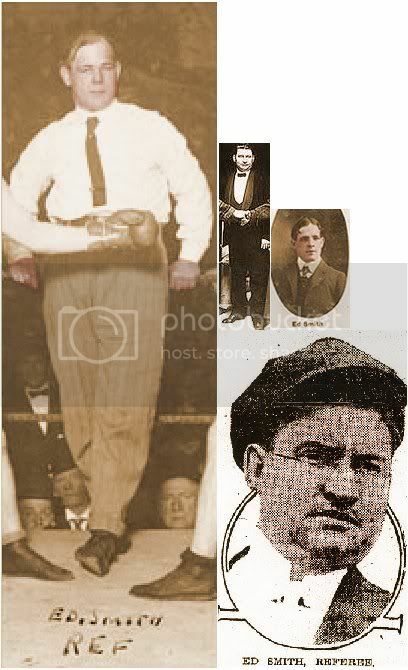 Refereed Jack Johnson/Jim Flynn, Arthur Pelkey/Luther McCarthy, both Gotch/Hackenschmidt wrestling matches, Benny Leonard/Charley White. James G. Smith, born Montreal, Canada, 1834? ; Mother: Mary E., born New York, 1842? 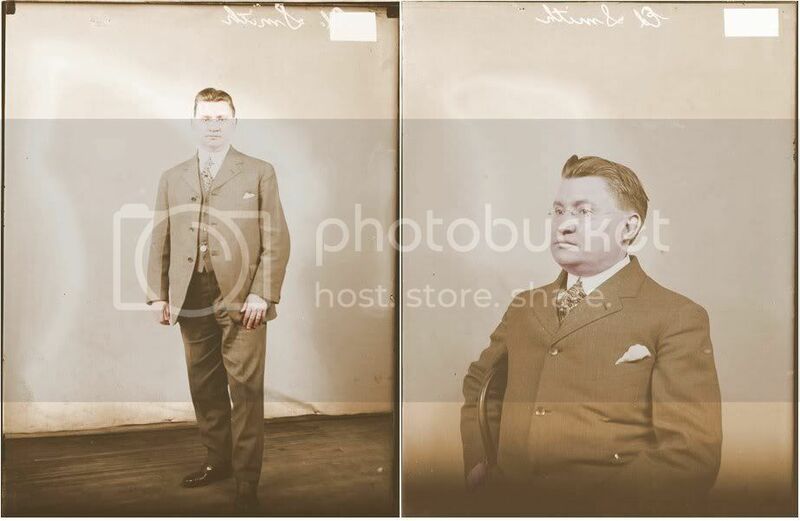 ; Wife: Sedan Kerting: born Chicago, IL, September, 1870; Daughter: Viola: born Illinois February, 1890; Son: Lester: born Illinois August, 1892; Daughter: Lillian: born Illiniois November, 1896. Daughter: Virginia, born Illinois, 1910? ; Daughter: Lorraine, born Illinois, 1919? ; Ed married Sedan on September 29, 1889 in Kenosha, WI. Chicago Daily Tribune obituary, Febuary 24, 1936, pp. 18.------------------------Los Angeles Times' obituary, February 24, 1936, pp. A11. ---------------------------------------------------------------Sporting News' obituary, February 27, 1936, pp. 2. Last edited by Bill Burgess; 03-30-2014, 10:24 AM. Co-founder / editor of Samuel S. McClure of McClure's Magazine, 1893. After 24 years of partnership with McClure, he withdrew & founded the Phillips Publishing Compay. He started The American Magazine, serving as editor until 1915, when he became advisory editor, until 1938, when he retired. While editor of American Magazine, he published stories by Lincoln Steffens, Ida Tarbell, Ray Baker, Finlay Dunne and William White. Last edited by Bill Burgess; 03-29-2014, 10:44 PM. Died: March 28, 1951, Coral Gables, FL, age 84,---d. at home. Called Judge due to his officiating at many race tracks in the US & Canada. Wife: Elizabeth; Daughter: Lucille; Daughter: Dorothy. Was actually a ML pitcher, 1886-87. 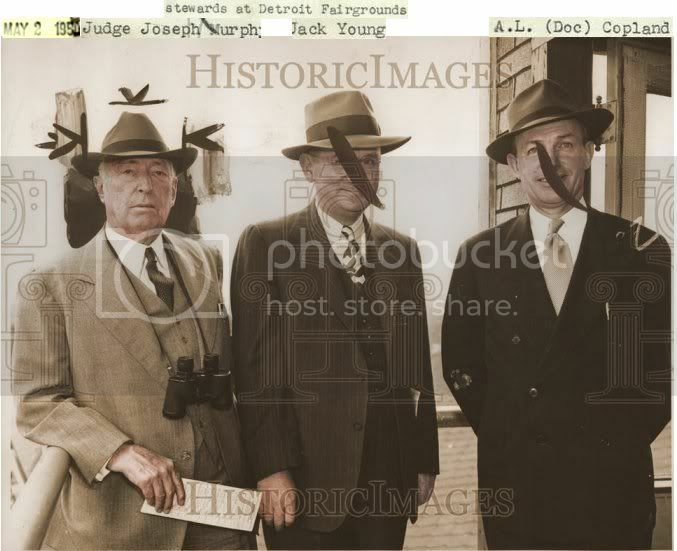 ----------------------------------------------------------------------------------------1923-------------------------------May 2, 1950, Detroit Fairgrounds: Judge Joe Murphy, Jack Young, Doc Copland. Last edited by Bill Burgess; 03-29-2014, 10:04 PM. -------------------Three Men who gained fame as American Humorists, wrote sports early in their careers. George M. Ade (1866-1944), Finley Peter Dunne (1867-1936) and Franklin Pierce Adams (1881-1960) were 3 of America's great humorists, in the same vein as Mark Twain (1835-1910), Henry L. Mencken (1880-1956), Will Rogers (1879-1935) and Garrison Keiler (1942-still alive). But few remember today that they covered sporting events in their early stages, among their many other writings. Chicago Record, 1890 - 1900, covered many sporting events. Ade's followed in the footsteps of his idol Mark Twain by making expert use of the American language. 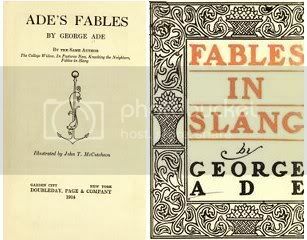 In his unique "Fables in Slang," which purveyed not so much slang as the American colloquial vernacular, Ade pursued an effectively genial satire notable for its scrupulous objectivity. Ade's regular practice in the best fables is to present a little drama incorporating concrete, specific evidence with which he implicitly indicts the object of his satire—always a type (e.g., the social climber). The fable's actual moral is nearly always implicit, though he liked to tack on a mock, often ironic moral (e.g., "Industry and perseverance bring a sure reward"). As a moralist who does not overtly moralize, who is all too aware of the ironies of what in his day was the modern world, George Ade was perhaps our first modern American humorist. 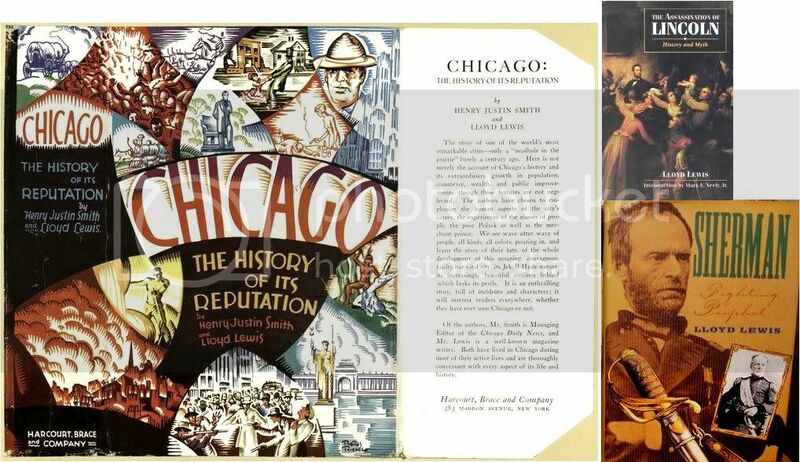 Through the values implicit in the fables, Ade manifests an ambivalence between the traditional rural virtues in which he was raised (the virtues of Horatio Alger and the McGuffey Readers) and the craftiness he saw all around him in booming Chicago. The United States, in Ade's lifetime, underwent a great population shift and transfer from an agricultural to an industrial economy. Many felt the nation suffered the even more agonizing process of shifting values toward philistinism, greed, and dishonesty. Ade's prevalent practice is to record the pragmatic efforts of the little man to get along in such a world. Ade propounds a golden mean, satirizing both hidebound adherence to obsolete standards and too-easy adjustment to new ones. His view is often an ambiguous, ambivalent, pragmatic reaction to the changing scene, but it remains an invaluable literary reflection of the conflicting moral tensions resident in our national culture at the turn of the century. Ade was a playwright as well as an author, penning such stage works as Artie, The Sultan of Sulu (a musical comedy with composer Nathaniel D. Mann and lyricist Alfred George Whathall ), The College Widow, The Fair Co-ed, and "The County Chairman". He wrote the first American play about football. George Ade is one of the American writers whose publications made him rich. When land values were inflated about the time of World War I, Ade was a millionaire. The Ross-Ade football stadium at Purdue University was built with his (and David E. Ross's) financial support. He also generously supported his college fraternity, Sigma Chi, leading a fund-raising campaign to endow the Sigma Chi mother house at the site of the fraternity's original establishment at Miami University. Ade is also famous among Sigma Chis as the author of The Sigma Chi Creed, written in 1929, one of the central documents of the fraternity's philosophies. George Ade died in Brook, Indiana, aged 78. He is buried in Fairlawn Cemetery in Kentland. Last edited by Bill Burgess; 03-29-2014, 04:01 PM. Died: April 24, 1936, New York, NY, age 69---d. throat cancer hemorrhaging after long battle. Political cartoonist created Mr. Dooley, saloon owner, wry observations on issues entertained readers for 30 yrs. His cartoons are collected in book forms. When Payne Whitney died in 1924, he bequeathed $500,000. 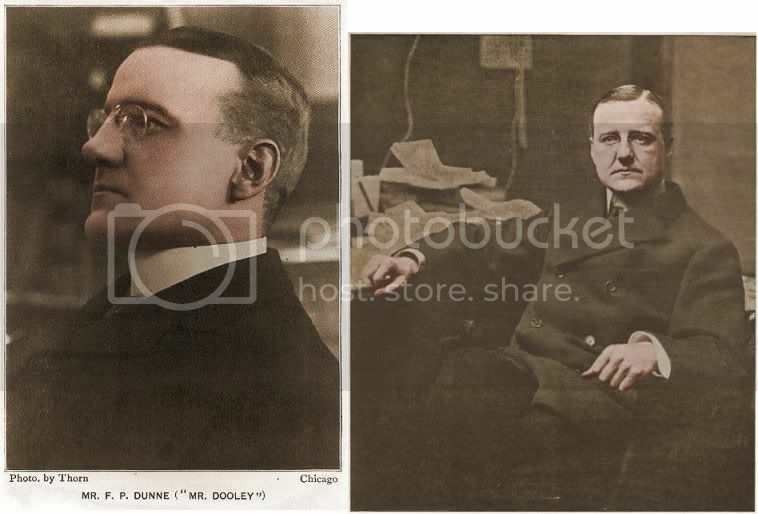 to Dunne, far more than enough to enable Dunne to live the rest of his life in high lavish fashion without need of further work. Some examples of his witticisms. "Swearing was invented as a compromise between running away and fighting." Last edited by Bill Burgess; 03-29-2014, 03:26 PM. 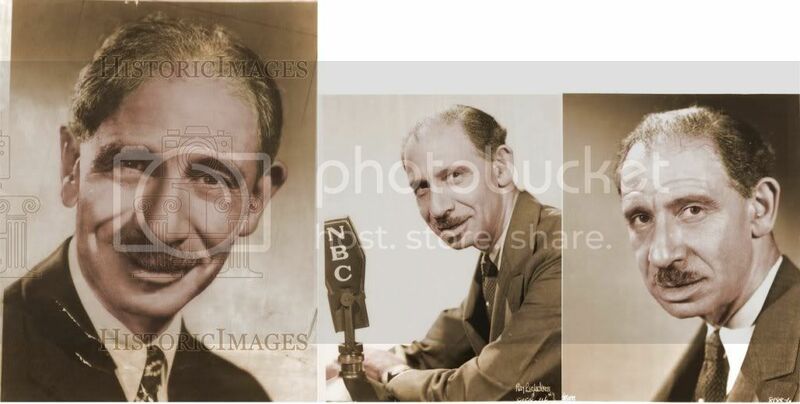 Arrived NYC, 1903, His column "The Conning Tower" appeared in many papers, his radio program "Information Please", 1938-48) was on TV for 13 weeks in 1952. Franklin also wrote, 'Baseball's Saddest Lexicon', in which his famous phrase, ""Tinkers to Evers to Chance", lauded the Chicago Cubs' double play trio. It was one of his most famous ditties. 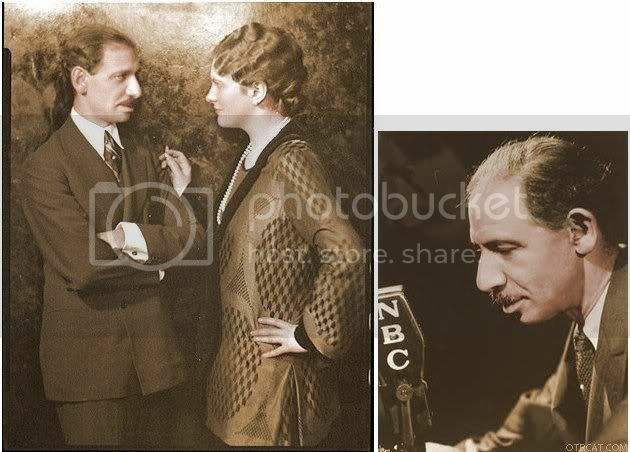 Franklin Pierce Adams (November 15, 1881, Chicago, Illinois – March 23, 1960, New York City, New York) was an American columnist (under the pen name FPA) and wit, best known for his newspaper column, "The Conning Tower," and his appearances as a regular panelist on radio's Information Please. He was a member of the Algonquin Round Table of the 1920s and 1930s. The son of Moses and Clara Schlossberg Adams, he graduated from the Armour Scientific Academy in 1899 and attended the University of Michigan for one year. He first worked for the Chicago Journal in 1903. 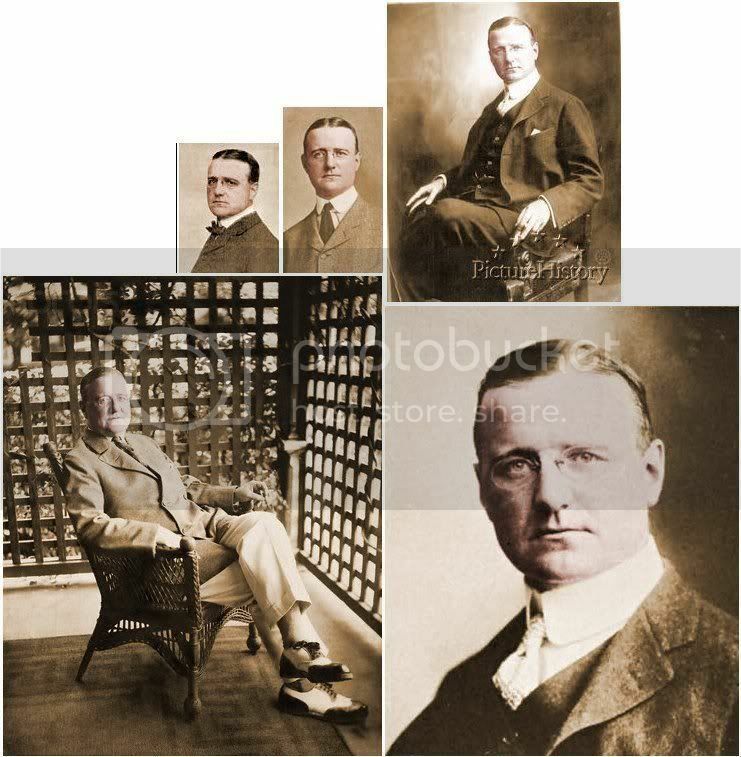 The following year he moved to the New York Evening Mail, where he worked from 1904 to 1913 and began his famed column. In 1913, when he moved his column to the New York Tribune, where it was given the title, "The Conning Tower." During his time on the Evening Mail he wrote what remains his best known work, 'Baseball's Sad Lexicon', a tribute to the Chicago Cubs double play combination of "Tinker to Evers to Chance." 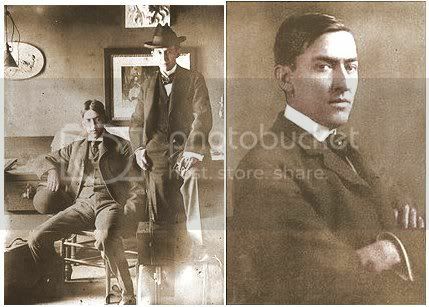 During World War I, Adams was in the U.S. Army, assigned to the Stars and Stripes, where he worked with Harold Ross, Alexander Woollcott and other literary lights of the 1920s. After the war, Adams returned to New York. He went to the New York World, in 1921, writing there until that paper closed in 1931. He returned to his old paper, renamed the New York Herald Tribune, staying until 1937 when he went to the New York Post. He ended his column in September 1941. During its long run, "The Conning Tower" publicized the work of such writers as Edna St. Vincent Millay, Dorothy Parker, George S. Kaufman, Moss Hart, Edna Ferber and Deems Taylor. Having one's work published in "The Conning Tower" was enough to launch a career, as in the case of Dorothy Parker and James Thurber. Parker quipped, "He raised me from a couplet." A quote of his service in World War I, "I didn't fight & I didn't shoot, but, General, how I did salute." Information Please panel: L-R: Oscar Levant, John Kieran, Cedric Hardwicke, Franklin P. Adams. January 12, 1943: L-R: Seated at piano, Oscar Levant and John Kieran; Standing, L-R: Dan Golenpaul, Clifton Fadiman, Franklin P. Adams. Last edited by Bill Burgess; 03-29-2014, 02:44 PM. Towards the end of his life, he did government work as a correspondent for the State Department. Last edited by Bill Burgess; 03-29-2014, 01:59 PM. Raised in Pittsburgh in his early youth. Pittsburgh Chronicle Telegraph, baseball reporter, 1883 - September, 1906 (originated sports/baseball dept.) Left to study medicine. Also covered boxing under pen name Jim Jab. 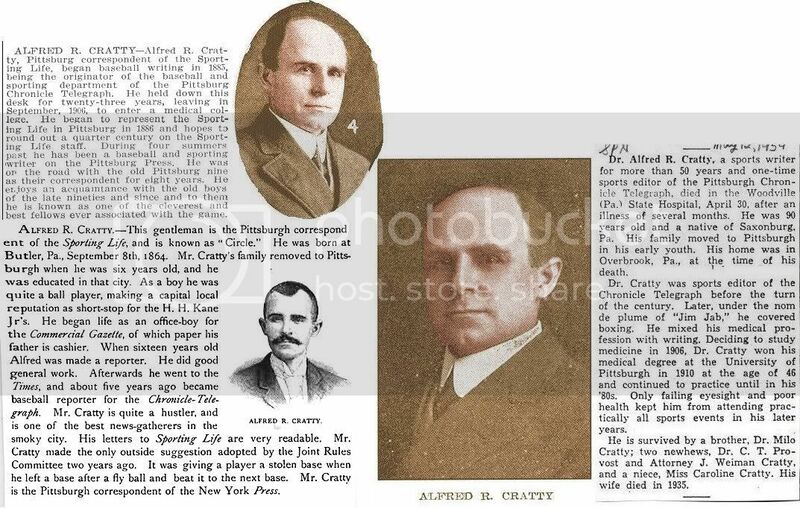 Began medical studies 1906, at the age of 52, at the University of Pittsburgh, 1910 medical degree. Practiced medicine into his 80's. Had worked in newspapers for 50 years. Father: John H. Cratty, born Pennsylvania, 1834? ; Mother: Clara: born Pennsylvania, 1840? ; Wife: Ida May, born Pennsylvania, 1864?, died 1935. ------------------------------------------------------------------1910 Photo (from The Owl - Pittsburgh University's yearbook)-------------------------Sporting News' obituary, May 12, 1954, pp. 36. Last edited by Bill Burgess; 03-29-2014, 09:06 AM. Died: April 21, 1949, Libertyville, IL, age 57,---d. heart attack at his home near suburban Libertyville. Lloyd was also a Civil War historian. Lloyd, on left, conferring with Henry J. Smith, Chicago Daily News editor, 1929. Chicago Daily Tribune obituary, April 23, 1949, pp. 12.---------------------------------Washington Post obituary, April 22, 1949, pp. B2. Last edited by Bill Burgess; 03-29-2014, 08:42 AM. Cincinnati Enquirer, reporter, 1881 - 1886, sports editor 1886 - February 26, 1900. Trained many of the early 19th century sports writers while a sports editor at Enquirer. Heavily into boxing/racing. 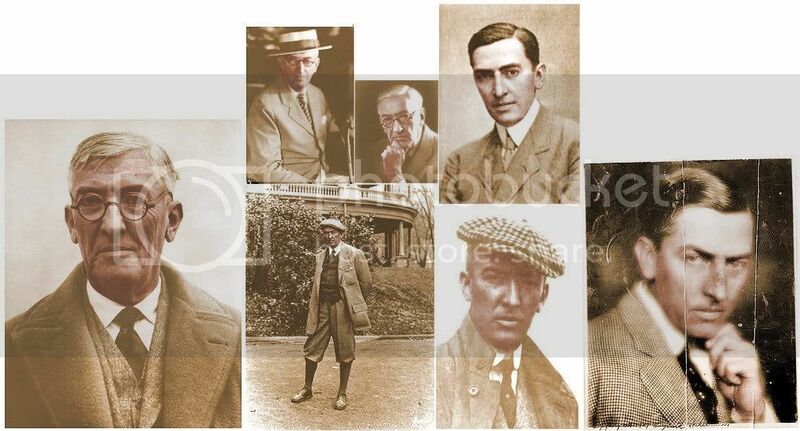 When Harry suffered his stroke in 1900, he was replaced by Ren Mulford. Father: Christopher Anklin Weldon, born 1827?, Cambridge, Ohio; Mother: Adeline Ankalin, born 1837?, London, Ohio; Wife: Fannie R. Rodgers, born 1860, Circleville, Ohio; Daughter: Frances Lucile, born August 26, 1884, Cicleville, Ohio, died 1963. Was Chris Von Ahe's secretary until October 22, 1886, then became secretary of the Cincinnati baseball team under Mr. Stern. Sporting Life obituary, February 8, 1902, pp. 27. Washington Post notice, February 26, 1900, pp. 1. Washington Post obituary, January 28, 1902, pp. 8.----------------------------------------------------------appeared in 1889 book. Last edited by Bill Burgess; 03-29-2014, 08:12 AM. 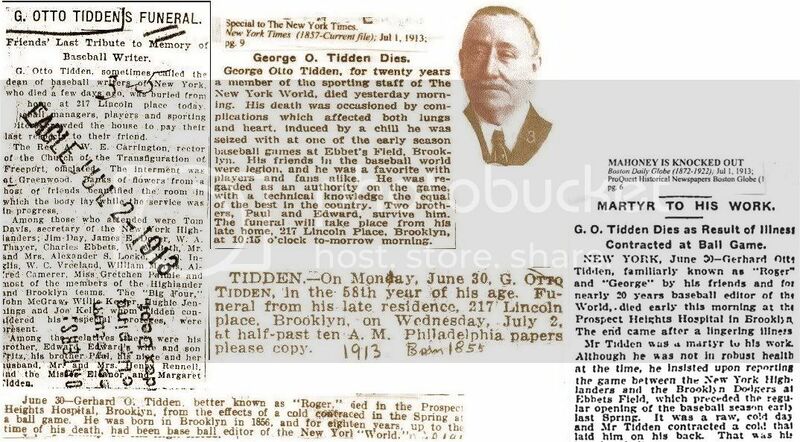 Died: June 30, 1913, New York City, NY, age 57,---d. at Prospect Heights Hospital in Brooklyn, complications involving both lungs and heart, occasioned by a chill he contracted early in baseball season. Sporting Life obituary, July 12, 1913, pp. 8. Brooklyn Eagle obituary, July 2, 1913---New York Times' obituary, July 1, 1913, pp. 9. 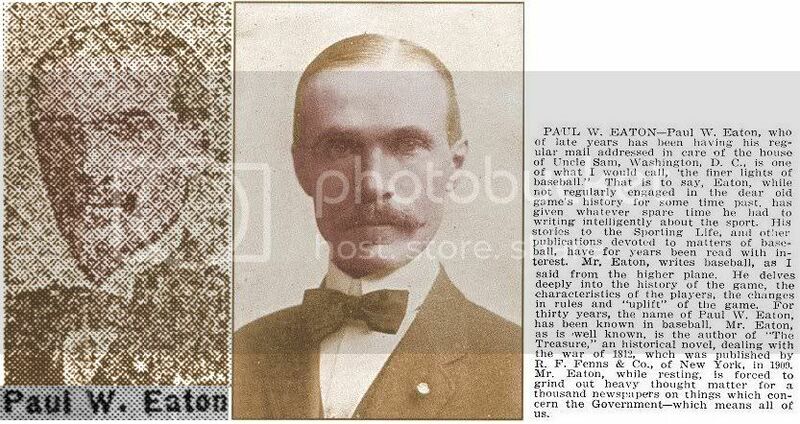 AL Reach Guide, 1914.--------------------------------------------------------------------------------------Boston Daily Globe obituary, July 1, 1913, pp. 6. Last edited by Bill Burgess; 03-28-2014, 09:05 AM. Chicago Tribune, 1905 - ? Chicago Record-Herald, 1907 - 1912, 1914? The data we have on MacLean which is drawn from two alumni information forms, one of which was filled out by MacLean (ca. May 1926) and the other by his widow (ca. November 1927). The only significant difference in data appears in the years of his affiliation with Chicago newspapers given by the widow as opposed to his own recollection. When returning a completed alumni form, the alumnus or family member was requested to enclose a photograph, which appears below. 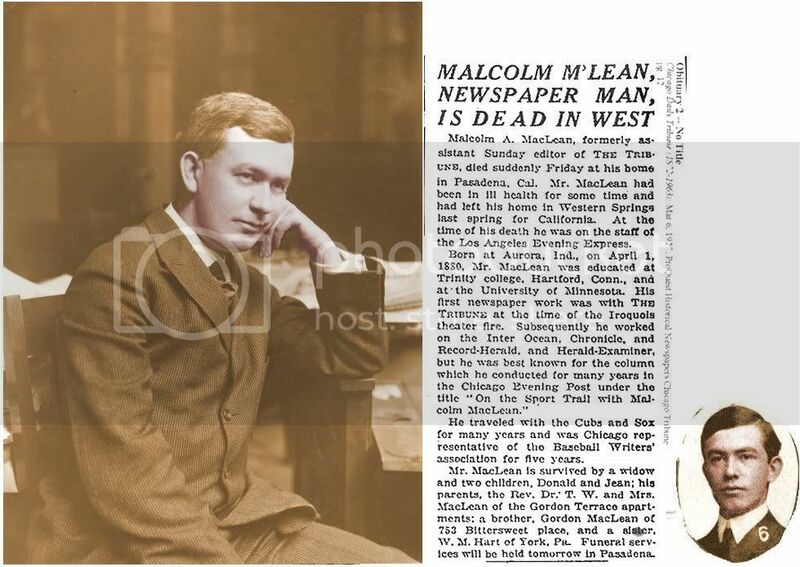 MacLean became a newspaperman in Chicago beginning in 1905 (widow 1906). In his own words he served "mostly as a ball writer and column conductor" and was affiliated with the Chicago Inter Ocean: 1905 (widow 1906); the Chicago Chronicle: 1906-07 (widow 1906-07); the Chicago Record Herald: 1907-1910 (widow 1907-09); the Chicago Evening Post: 1910-22 (widow 1909-1923); the Chicago Herald Examiner: 1922-24 (widow 1923-24); the Journal: 1924-25 (widow does not report this); and the Chicago Sunday Tribune: 1925-1926 (widow no dates) as assistant Sunday editor. He traveled with the Cubs & Sox for years. Represented Chicago for 5 years in baseball writers association Sunday edition of Chicago Tribune. Ill health prompted him to leave his home in Western Springs, for California last spring. At time of death, was with Los Angeles Evening Express staff. 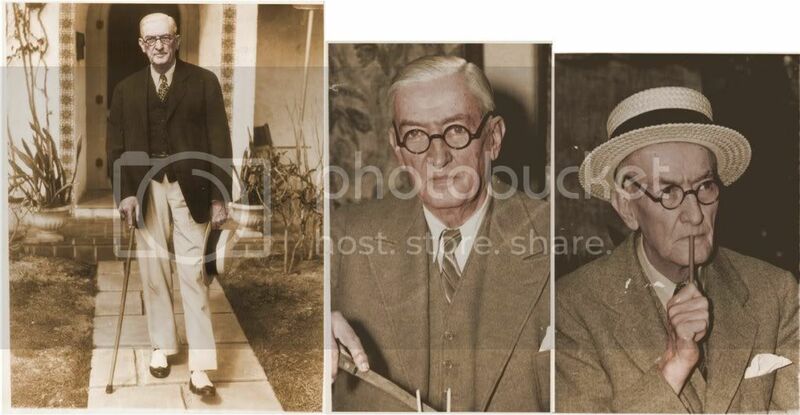 Malcolm Appleton MacLean was born in Aurora, Indiana on April 1, 1880, and was the son of the Rev. Thomas William MacLean, an 1871 graduate of Racine College and an Episcopal clergyman, and Frances Elizabeth Appleton. MacLean prepared for Trinity at the Racine (Wisconsin) Grammar School and entered the College in September 1899 with the Class of 1903. He left at the end of his freshman year and apparently transferred to the University of Minnesota where he received his BA (Classical Course) in 1903. He was a Delta Kappa Epsilon fraternity brother, and at Minnesota was a staff member of various undergraduate publications, including a stint as associate editor of the Minnesota Daily. He was also interested in hockey and bowling, but it does not appear that he was a team member. He married Louise Bell Agrell of Chicago on November 3, 1909 and they had two children, Donald Rowe, b. June 2, 1911, and Jean Constance, b. June 30, 1919. 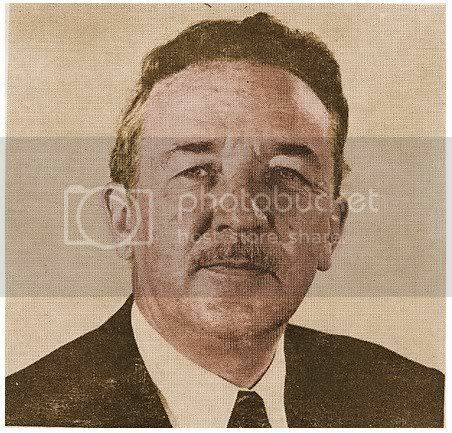 He then went on a leave of absence to Pasadena because of ill health and was there associated with the Los Angeles Evening Express for which he edited a column. Mrs. MacLean also notes that her husband had written monthly travel stories which he illustrated with his own pictures for a period of 10 years (unspecified) for Cherry Circle, the Chicago Athletic Association magazine. MacLean was a member of the Chicago Athletic Association and the Baseball Writers Association of America for which he was Chicago representative for five years. For many years he made his home in Western Springs, Illinois. He died in Pasadena on March 4, 1927. Appleton was his mother's maiden name. ---------------------------------------------------------------------------Chicago Daily Tribune obituary, March 6, 1927, pp. 12. Last edited by Bill Burgess; 03-28-2014, 08:23 AM. Original founding member of BWAA. 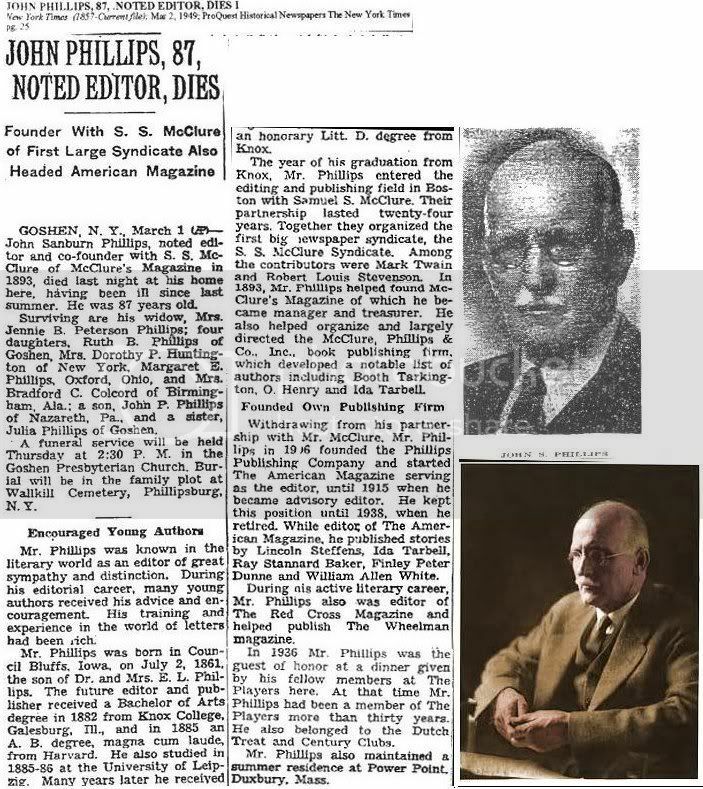 New York Times' obituary, June 22, 1932, pp. 21. Last edited by Bill Burgess; 03-27-2014, 01:27 PM. Died: February 5, 1900, Philadelphia, PA, age 45,---d. at his home. Helped organize the Eastern League in the winter of 1883-84, and was elected its president and secretary, which positions he held for several years. Managed the St. Louis Browns in 1896, but for only 17 games. Was fired for drunkenness. 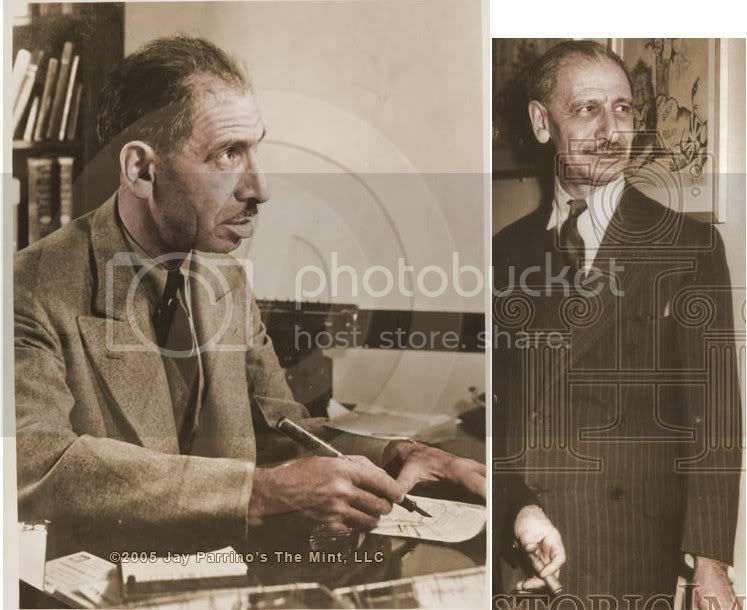 His son, Henry Harrison Diddlebock, Jr. was born March 2, 1878 and also was a newspaper reporter with the Detroit Journal. His other son was George and his wife was Emma. 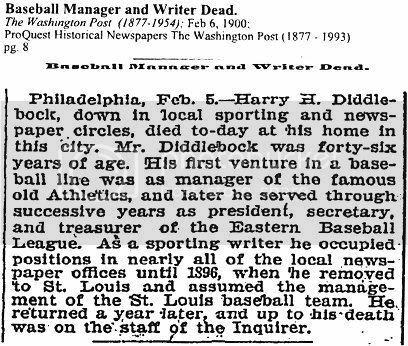 He married his wife, Emma A. Rotherham, on June 28, 1875 in Philadelphia, PA.
Harry Diddlebock was a baseball executive and sportswriter who managed the St. Louis Browns in 1896 for 17 games before being fired for drunkenness. Diddlebock had been an executive with the Eastern League in earlier years, serving as secretary, treasurer and president of the league. In 1886 he was considered for the presidency of the American Association. He was fired by the 1896 St. Louis Browns for being intoxicated. 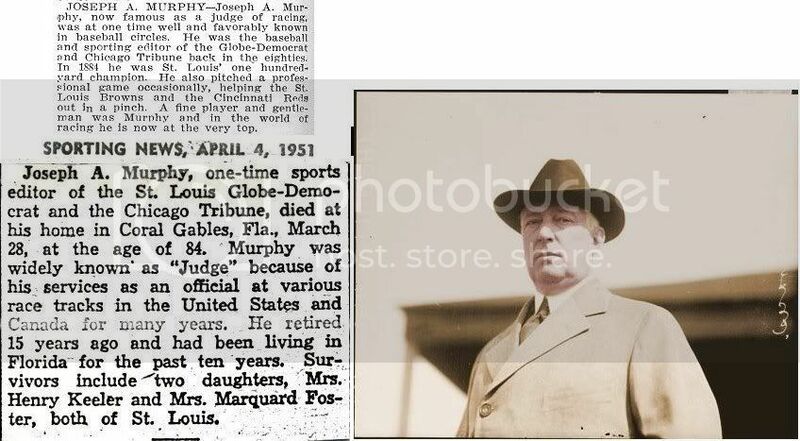 His obituary in the Washington Post stated that he had worked in "local newspaper offices" and that his first connection with sports was as manager of the Athletics (not specified whether the amateur or professional team). Sporting Life obituary, February 10, 1900, pp. 6. ----------------------appeared in 1889 book.-----------------------------------------------------------------------------------Washington Post obituary, February 6, 1900, pp. 8. Wife: Ida M., born Massachusetts, 1882? ; Wife: Phobe H., born Michigan, 1890? 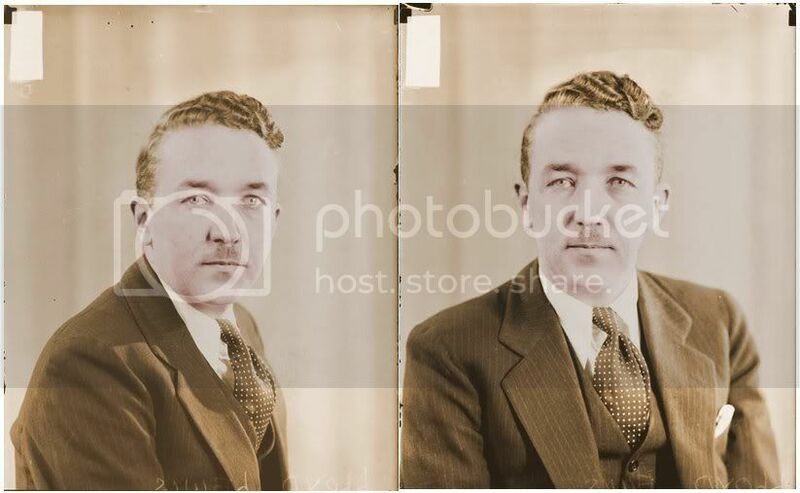 ; Son: Henry Harrison (Harry) Diddlebock, Jr., born Philadelphia, PA, May 16, 1900 - died July 2, 1977, Philadelphia, PA.
Last edited by Bill Burgess; 03-27-2014, 12:26 PM.